Material on this site is the copyrighted property licensed to Howard Dinits. All rights reserved. The information and images presented here may not under any circumstances be reproduced or used unless (a) use is for personal, non-commercial home use; or (b) the materials clearly state that these materials may be copied and reproduced according to the terms stated in those particular pages. By communicating with Howard Dinits through any of this site’s forms or links, or by signing up for any of this site’s total access content, users grant Howard Dinits permission to contact them via e-mail, or phone, even if the user is on the “Do Not Call” National Registry. THE MATERIALS IN THIS SITE ARE PROVIDED “AS IS” AND WITHOUT WARRANTIES OF ANY KIND EITHER EXPRESS OR IMPLIED. TO THE FULLEST EXTENT PERMISSIBLE PURSUANT TO APPLICABLE LAW, HOWARD DINITS DISCLAIMS ALL WARRANTIES , EXPRESS OR IMPLIED. HOWARD DINITS DOES NOT WARRANT OR REPRESENT THAT THE INFORMATION IS ACCURATE OR RELIABLE OR THAT THE SITE WILL BE FREE OF ERRORS OR VIRUSES. Under no circumstances, including but not limited to negligence, will Howard Dinits be liable for special or consequential damages that result from the use or inability to use the materials in this site. In no event shall Howard Dinits‘s liability to a user for any loss, damage or claim exceed the amount paid by the user for accessing this site. 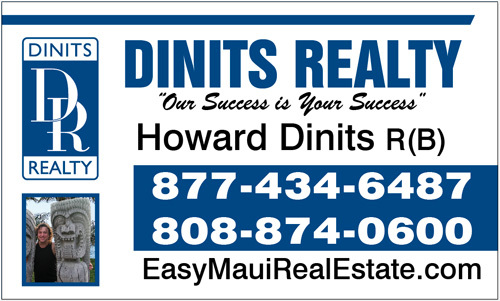 Howard Dinits offers links to various third-party Web sites for the convenience of its visitors, and, unless otherwise indicated, no affiliation between Howard Dinits and an entity linked to is intended. Except where indicated, Howard Dinits does not endorse any company or product or service not offered by Howard Dinits including the advertisers on linked Web sites. Howard Dinits does not monitor sites linked to and the use of any such link is strictly at the user’s own risk. In no event shall Howard Dinits be liable for special or consequential damages that result from activity occurring on non-Howard Dinits Web sites when a user links to such site from this DOMAIN.